The European Union has been leading the movement to break down data silos with its Payment Services Directive, with the aim of lowering the barriers to entry for financial services providers and increasing competition. 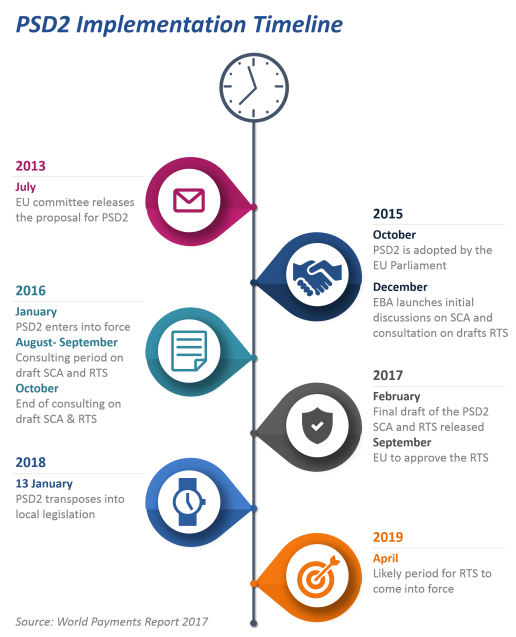 The original version of the directive was issued in 2007 and a second version of the directive (PSD2) was issued more recently in 2015. Because banks are mandated to open up APIs, PSD2 opens the floodgates for non-traditional players (ie. fintech startups) to take advantage of newly available bank data to provide consumer-facing products with better functionality and UX. In the near-term, the effect will be felt particularly in payments. Within the directive, the access-to-account (X2A) provision introduces new stakeholders into the payments process. Looking at the graphic below, on the left we have what a traditional debit card payment looks like and the steps associated with it. 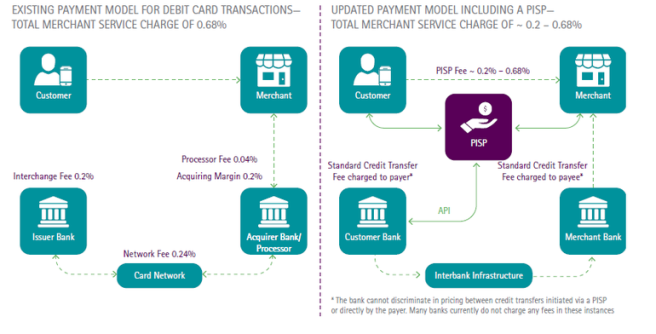 On the right side Payment Initiation Service Providers (PISP) is introduced, which is an entity (for example, a fintech startup or big tech company getting into financial services) that has the ability to initiate a transaction with a customer’s permission, resulting in lower transaction cost due to disintermediation (with the key part being the introduction of an API between the PISP and the customer’s bank). With increased access to a consumer’s information, user interfaces that provide a holistic view of a user’s financial situation become possible, better data to underwrite loans is available, and seemingly countless integrations with other aspects of a consumer’s life are enabled.